A precious scent was made from resin extracted from a plant found high in the Southern Alps of New Zealand. 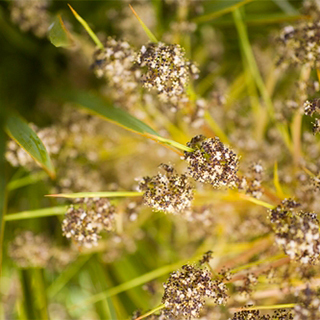 The plant was named Taramea. Taramea leaves were gathered, plaited and heated to extract the resin. Fragrant sachets of oil were created by mixing the resin with animal fat. The perfumed oil produced in this way was highly valued and was used for trade for food, greenstone, and as gifts between chiefs. Taramea. 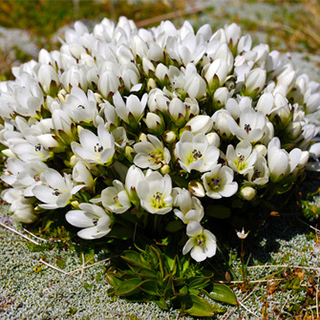 Hokonui Rūnaka with the support of Te Rūnanga o Ngāi Tahu and in conjunction with Plant and Food Research are researching our native Gentianella species with a view to developing new plant cultivars for the international market. Gentianella. 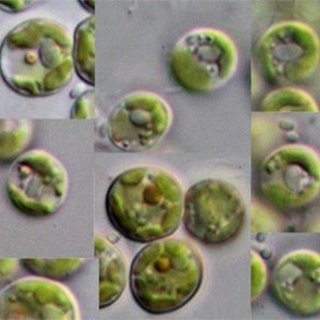 The aim of this research project is to determine the commercial potential of an micro alga found in the Awarua wetland. High values of EPA found in the alga mean that it may offer an alternative to the health supplement fish oil. While this project is still in its early phase, the aim is to determine the whether growth and extraction can be extended sufficiently to ensure commercial feasibility of the process. Awarua Algae.